Hmm…. so that was an interesting announcement from VMware last week!….. although if I’m honest it makes perfect sense! Last year when VMware announced their tie up with AWS – vCloud on AWS – many had already started wondering what that partnership would do to VMware’s own cloud offering. The talking point was made more real when VMware also announced their Cross-Cloud Architecture which would allow a customer to choose which cloud platform to deploy their workloads onto – all from a single common operating environment. Then to make things worse, VMware announced VMware Cloud Foundation on IBM Cloud (or what was Softlayer)… an SDDC stack running VMware goodies on IBM Cloud compute! That triple whammy pretty much made everyone think that vCloud Air’s time was up!! I had a number of discussions at VMworld Europe last year where we talked about whether VMware would just shut down vCloud Air, or would they migrate it all onto AWS. Although the general consensus was that maybe they would sell off/spin off that part of their business – after all, VMware is a software business and vCloud Air was always seen as a ‘weird’ sibling…. not to mention that it competed against all it’s vCAN (VSPP) partners who were offering their own cloud services built on VMware technology! I guess there’s no shame in what VMware are doing, Cisco, Dell and HP tried and failed to do what Amazon and Google are doing well at… although surprisingly Microsoft have managed to get Azure up and running well! In a way, VMware are getting rid of what they probably saw as a hefty investment on infrastructure and hosting for little returns (I doubt there were many customers using vCloud Air to justify the expense of keeping it). Makes more sense to sell it to an existing cloud provider who knows how to sell Public Cloud services and IaaS! Although, I kind of have to wonder what OVH will do given VMware hosted vCloud Air in Equinix/Telstra data centres around the world….. guessing they’ll run down the contract with those providers and bring it all back in house! In my opinion, selling off vCloud Air is probably a smart move….. VMware’s vision is to enable a customer to run “Any Application on Any Cloud, accessed by Any Device”, and it was going to be difficult to be Cloud-Agnostic if they owned a Public Cloud service! The whole Cross-Cloud Architecture would have produced a conflict of interest if they kept vCloud Air…. now that they’re shot of it, they can concentrate on pushing out their vCloud stack onto Azure and maybe even GCP given that they’re well on their way with the AWS partnership. Why try and beat them at their own game? It’s far easier to embrace them and partner!! 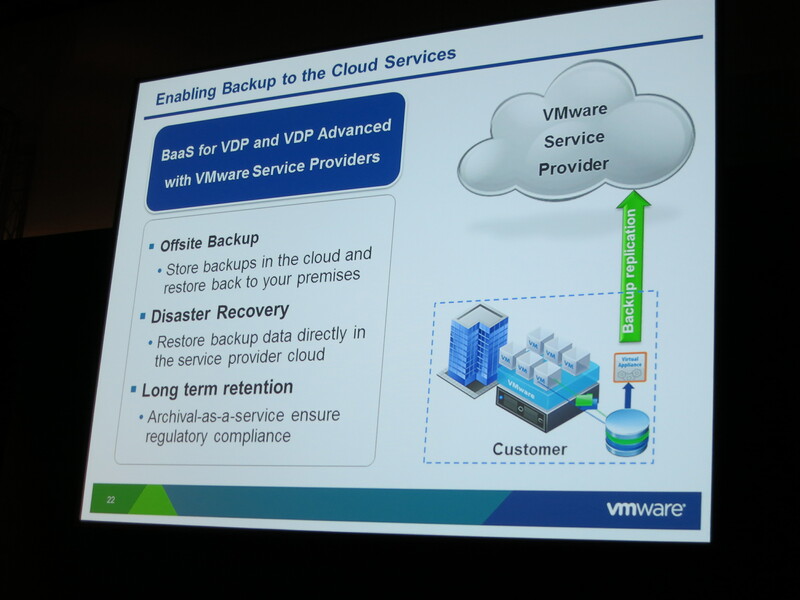 VMware are positioning themselves to be the broker of cloud services…. a single management point that allows end users to decide which public cloud is best for their workloads! In a way it’s a clever move, firstly because it puts the decision-making back with the end user, and secondly it now means that VMware can state that it’s the only virtualisation company that doesn’t tie you into a single cloud vendor (much like how Microsoft tries to ram Azure down the throat of Hyper-V customers). 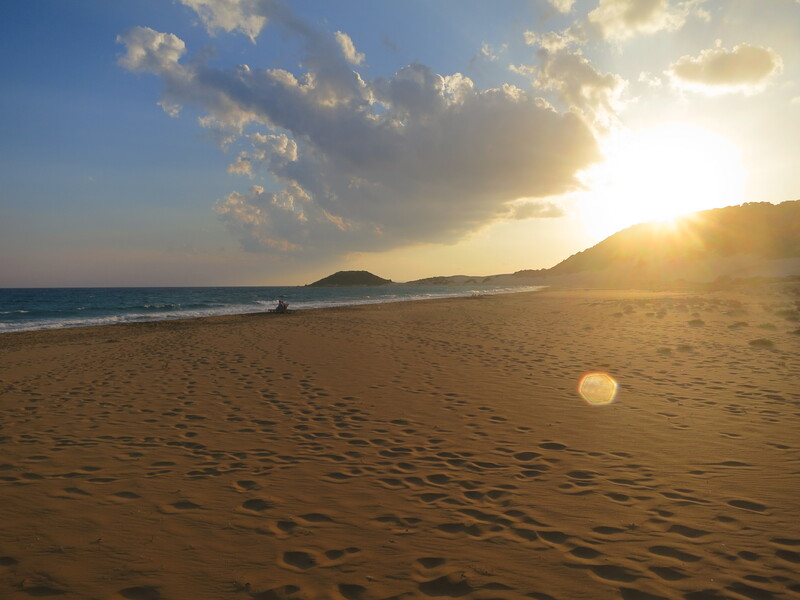 Very quick blog entry as I’m busy tying up loose ends before jetting off on my summer hols…. It’s pretty easy to install vShield Endpoint as it’s a wizard-based OVA deployment. I’m not going to step through the process as it’s very simple (plus the install guide explains it very well). Once that’s done log into the console and run ‘setup’ to configure the IP address and DNS information. After that, it’s a case of logging into vShield Manager and connecting to vCenter Server. Once connected to the vCenter, you should see your datacenter and hosts in a hierarchical tree on the left menu. Select each host and installed vShield Endpoint. However, I did encounter a few issues (due to prior deployments which hadn’t been cleaned up properly). This occurred because the hosts had a previous vSwitch labelled vmservice-vswitch, but the VMkernel port vmservice-vmknic-pg resided on a different vSwitch (previous deployment). To correct this I had to delete the old VMkernel port and recreate it on the correct vmservice-vswitch. Again this was due to a mis-configuration on a previous deployment! What should happen is once you’ve setup the vmservice-vswitch and created the vmservice-vmknic-pg portgroup and VMkernel port, the installer will create a new portgroup on that vSwitch called vmservice-vshield-pg. Like before, this was residing on the wrong vSwitch. In the end I just deleted the wrong vSwitch and started again by creating the vmservice-vswitch and the vmservice-vmknic-pg. 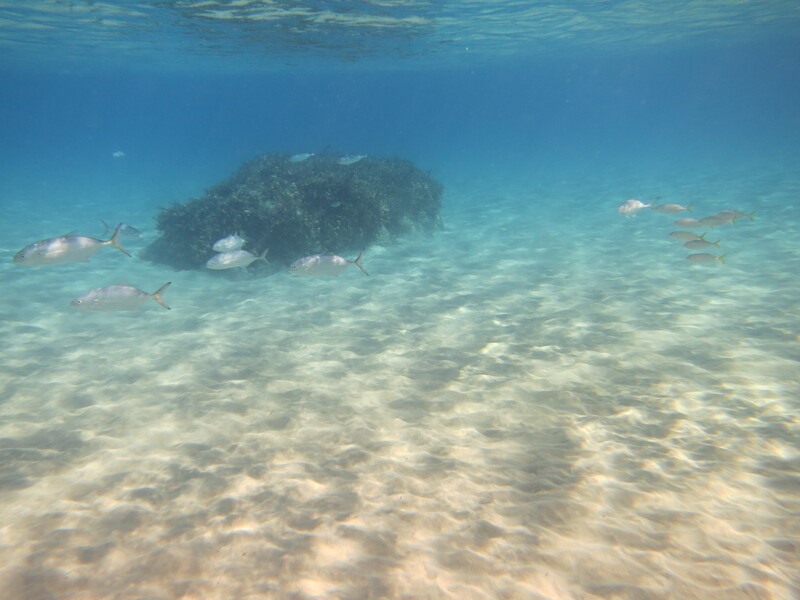 After that the installation of vShield Endpoint went swimmingly! 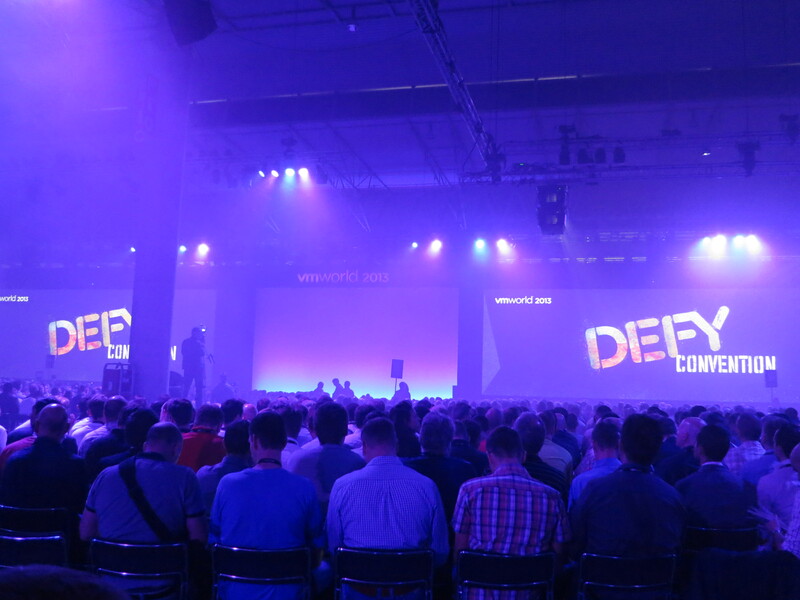 So those of you who read my VMworld 2013 US round up will already have read about all the juicy bits that was announced in San Fran….. basically vSphere/vCloud 5.5….. The keynote session by Pat Gelsinger pretty much repeated a lot of what was announced in the US, with a little bit of juicy extras (see below)…… Pat did a good job engaging the audience, the dialogue flowed and it certainly kept my attention on what was being announced! 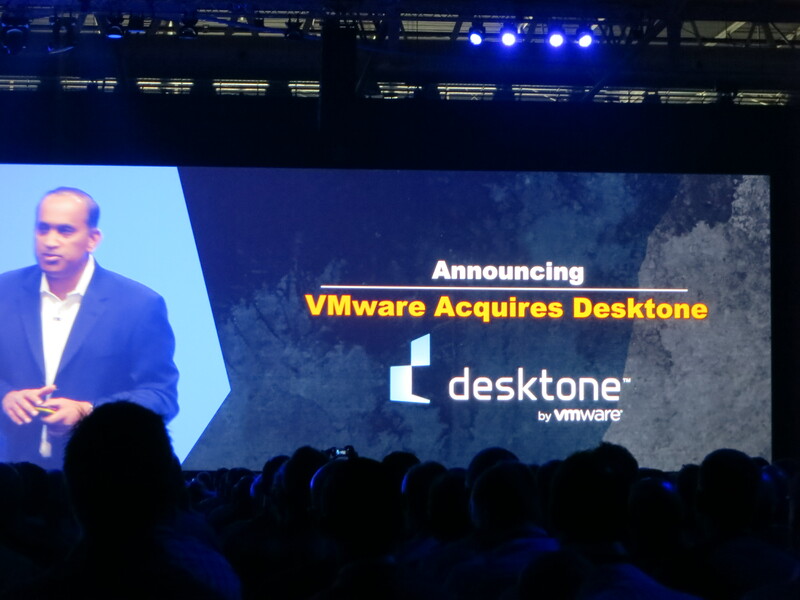 First up was the announcement of VMware’s acquisition of Desktone! 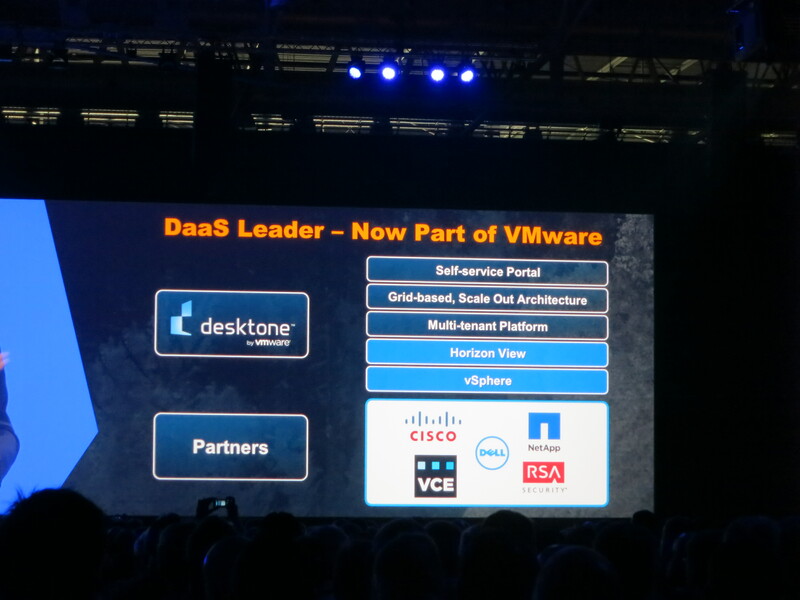 I first read about Desktone after VMworld US as there were a lot of discussions regarding vCHS and possible Desktop-as-a-Service (DaaS) offerings… rumours were awash about Desktone being a ‘good fit’ for VMware…… guess those rumours turned out to be true! One of the key points about the Desktone acquisition is that it brings the added advantage for on-premise VDI customers to burst out into the cloud (like a vCHS provider) if they suddenly require the need to spin up more desktops then they have resources for. From what I could gather speaking to the people at the Desktone booth, they have a piece of software, very similar to vCloud connector, that manages the connection of on-premise and off-premise VDIs, including the ability to transfer between the two….. interesting! And obviously to bean-counters, the idea of DaaS gives them the opportunity to move all the outlay from CAPEX into a more “easy-to-budget” OPEX…. afterall, you’ll know how much it would cost to spin up and consume a desktop in the cloud. It would also save time and money because it allows remote users to spin up desktops on any device (tablet, laptop, smartphone, thin clients, etc). The next main announcement was that vCloud Hybrid Service was coming to Europe, with Sungard being the first vCHS provider. (No photo here because some bozo in front of me decided to stand up and block my shot). Whilst we’re talking about Cloud, updates to some products were also announced to enhance Cloud Management: vCAC 6.0, vCOPs 5.8, vCenter Log Insight 1.5 and vITBM. 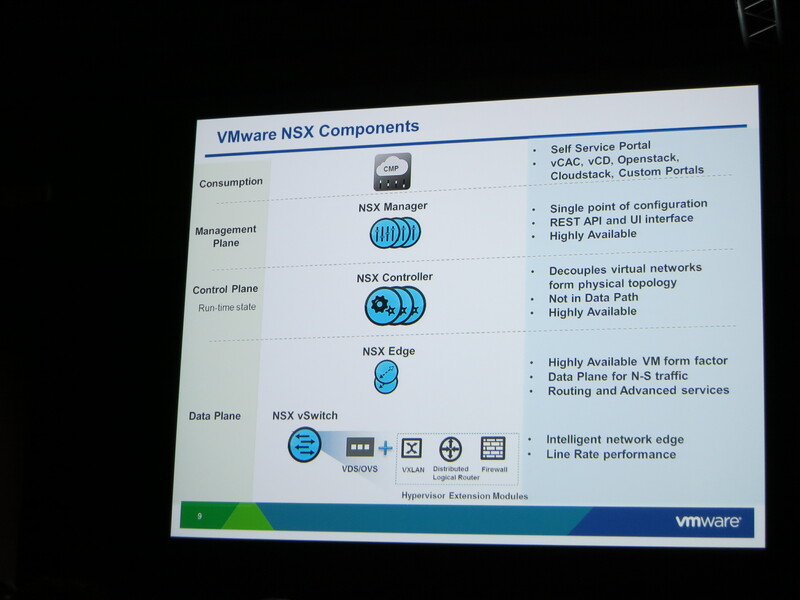 Next up was the announcement of the General Availability of VMware NSX! Network has always been an issue with virtualisation, you spin up a VM in minutes yet always have to rely on some sort of configuration to be carried out on your physical network device….. NSX was launched to bring the Network layer into the virtualisation stack as a ‘Software Defined’ device. 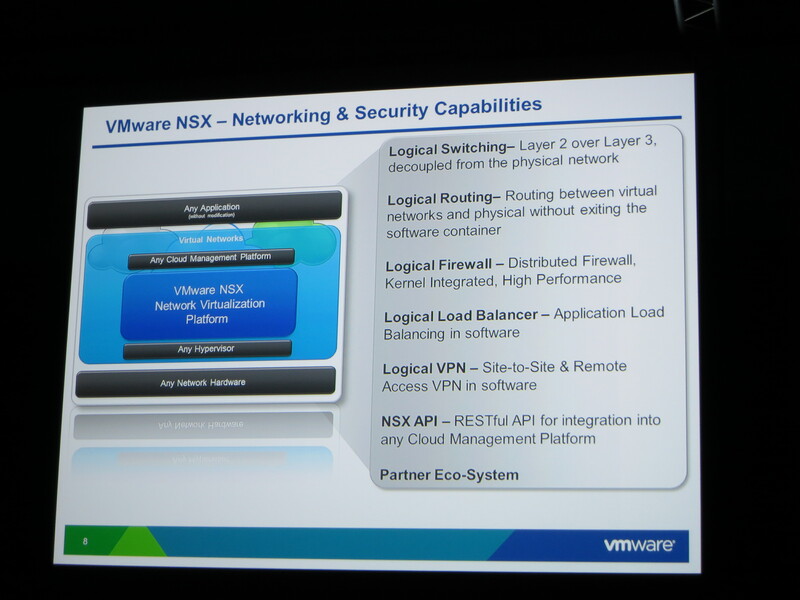 Think of it as a Network Hypervisor….. what ESX did for Compute, NSX will do for Networks! NSX abstracts network operations and configurations from they underlying hardware into a distributed virtualisation layer. It will allow you to define switches, firewalls, loadbalancers, routers, plus other networking elements. It’s vendor-agnostic…. supporting most hypervisors and physical network devices. An interesting slide (and one I didn’t get a photo of) was the ability to define network policies that had the switch configuration, the firewall configuration and other network elements and then just simply ‘assign’ it to a VM…. bobs your uncle, your VM is now fully configured! 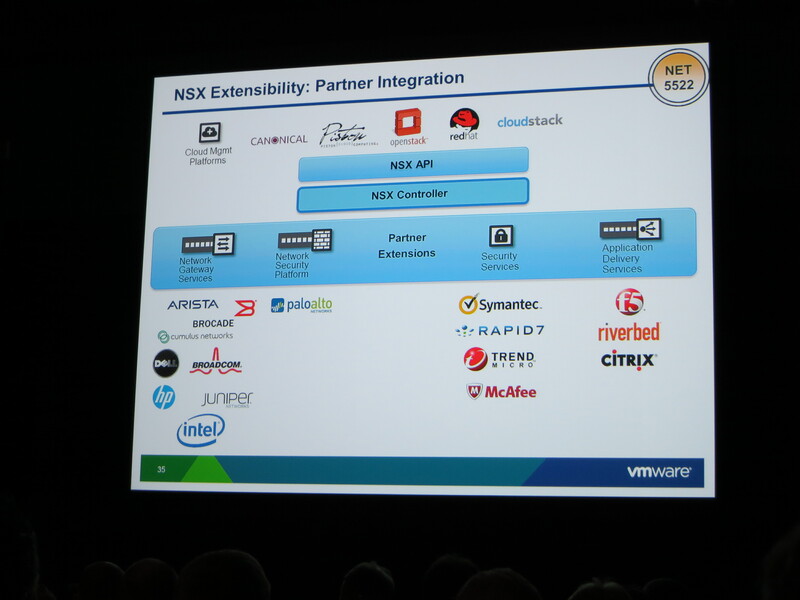 We then saw a list of partners that had already been engaged by VMware to work on integrating products with NSX. What’s very interesting from the partner slides we saw was that Cisco was missing as a partner!! It’s quite obvious that the relationship between Cisco and VMware have gone off the boil again…… and I’ve heard a rumour that Cisco maybe announcing something big in the SDN arena sometime soon! 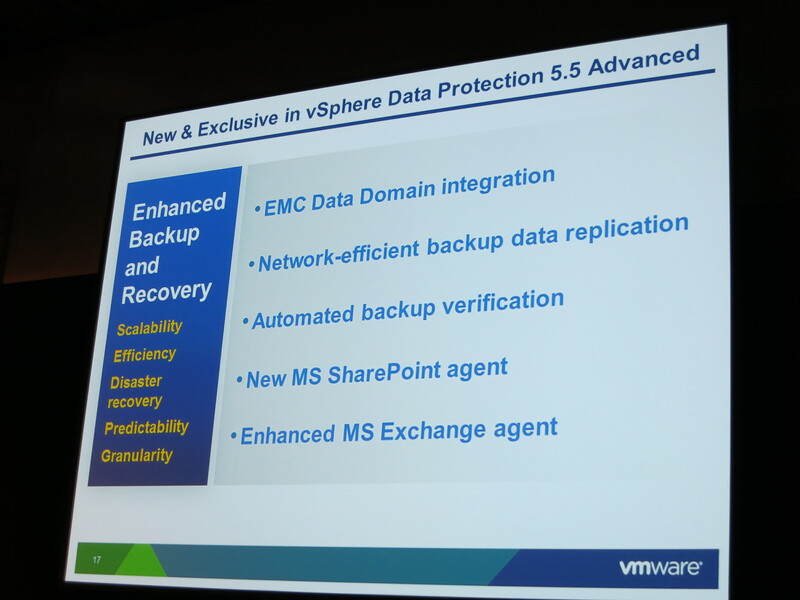 The last thing I’m going to talk about was the announcement of the GA of vDP 5.5 Advanced (vDP 5.5 std was announced at VMworld US). 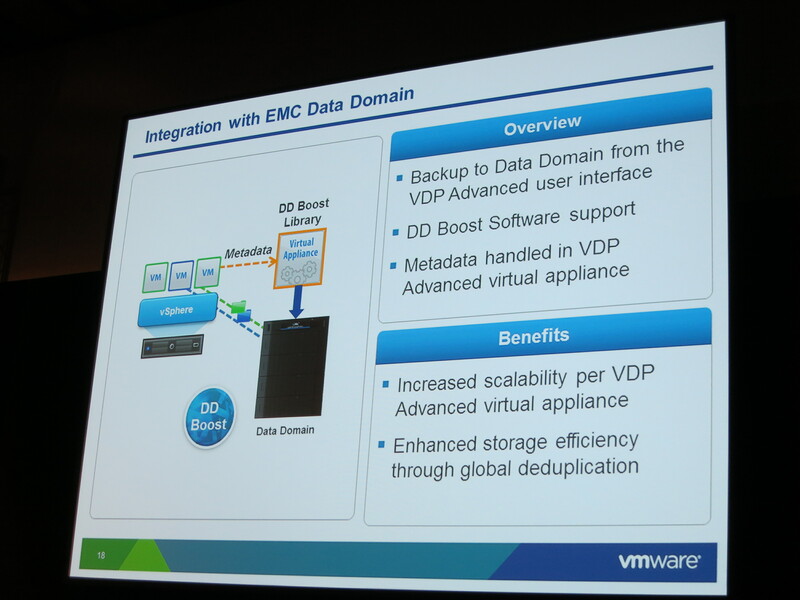 The key items to note about this product is that it now integrates with both EMC Data Domain and EMC Avamar! The integration with Data Domain allows you to use VDP as the front-end scheduler and back off to a Data Domain as the target. VDP will store all the Meta-data whilst DD stores all the backup data. This will be great as you’ll be backing off all your data onto a DD which means you will get global dedupe as your data is all in one location! 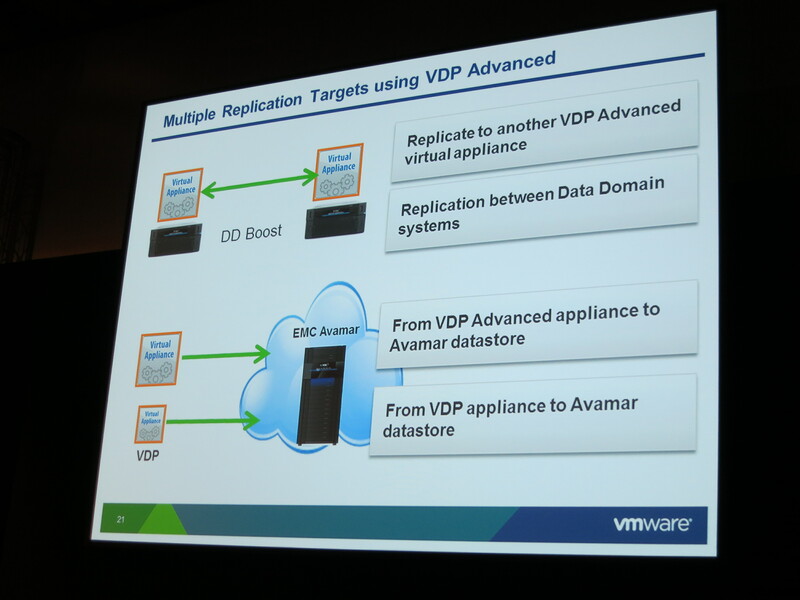 Finally the last take-away point from the vDP advanced announcement was the fact that it will allow you to consider Backup-as-a-Service by replicating your backup from the vDP appliance to a service provider who may be running something like Avamar! So hopefully that has rounded up the key points that I got out of Day 1’s general session and announcements! To be honest, there’s probably a lot more I could waffle on about, but given it’s now 2am and I’ve had a very long day followed by a stint at the EMC party… I’m quite mentally exhausted! I doubt there’ll be much for me to blog about for the remaining 2 days as I’ve gone over the key announcements in this post… and if I’m honest, the technical sessions I’ve booked myself onto are more for me to enhance my knowledge of existing products and solutions. I’ve been eagerly waiting to get my hands on vSphere 5.5 ever since VMworld 2013 US – unfortunately I’m not one of the lucky ones who had Beta access or pre-launch access (like some of the more renown VMware bloggers) – and the week that I decide to head off on holiday to Northern Cyprus, VMware decide to release everything 5.5!! Rather than regurgitate everything about vSphere 5.5 that every-man-and-his-blog has already done (whilst I was in Cyprus catching the sun), there’s a good blog by VMware which practically groups all the ‘need to know’ stuff in one handy webpage that I definitely recommend you bookmarking!